Note: This method is for all HTC Android 7.1.1, 7.1, 7.0. -Go back to very first “Welcome” screen. 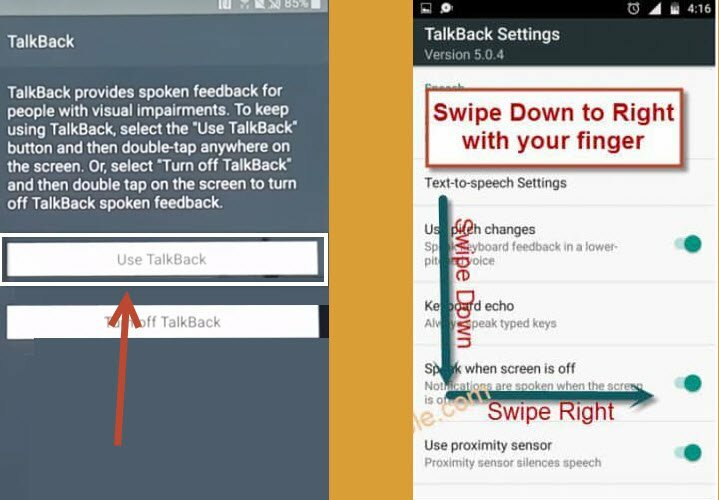 -Long Tap on your screen with “2 fingers” for at least 20-sec until you see two options there “Use Talkback” and “Turn Off Talkback”. 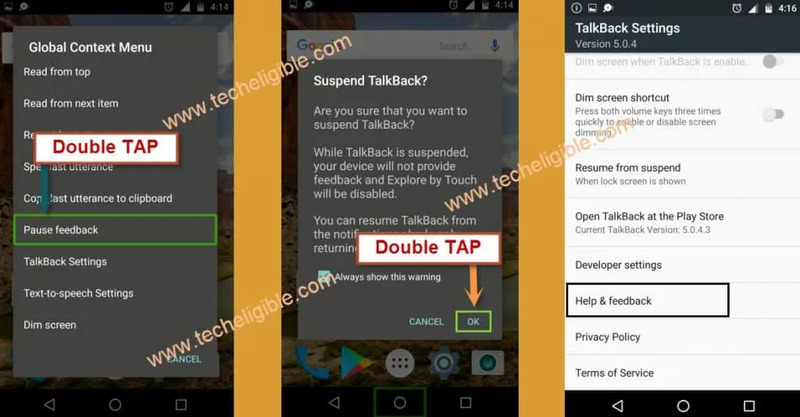 -Double tap on “Use Talkback”. -Now draw “L” with your finger on screen to bring “Global Context Menu”. -Double tap on “Pause Feedback”, after that double tap on “OK”. -now we have successfully suspended talkback feature. -Go down, and tap on “Help & Feedback”. -Now you will have one “Youtube Video” on your screen. -Tap on “Play icon”, after that you will get some options to share video. -Tap on “Clock icon”, this will open a “chrome browser” for you. -Now just tap on “Accept & Continue”, and then select “No Thanks”. -Congrats, you have accessed to “Google Chrome Browser” successfully, now we are only few steps away from Bypass FRP Protection HTC. -Open the most relevant search result as shown in below image. -Now download from there these below two applications. -Once downloading finish, you will surely get a popup bottom of your screen, just tap on “OPEN” from that popup. -After that tap on “Settings” from installation blocked message. 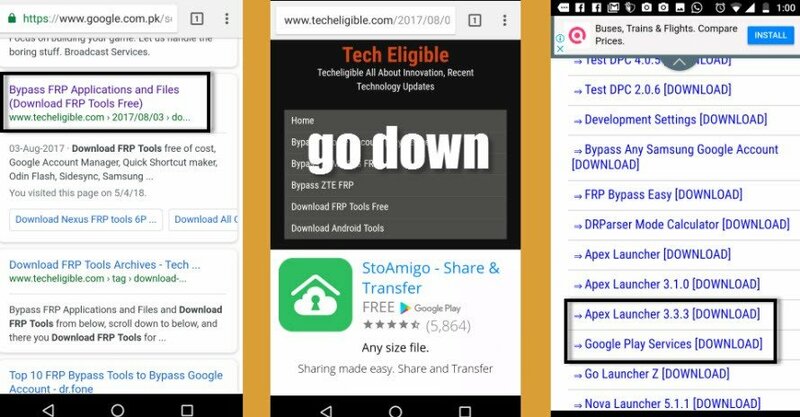 -Once you enable unknown sources successfully, go back to “Download Page” where from you downloaded frp tools. 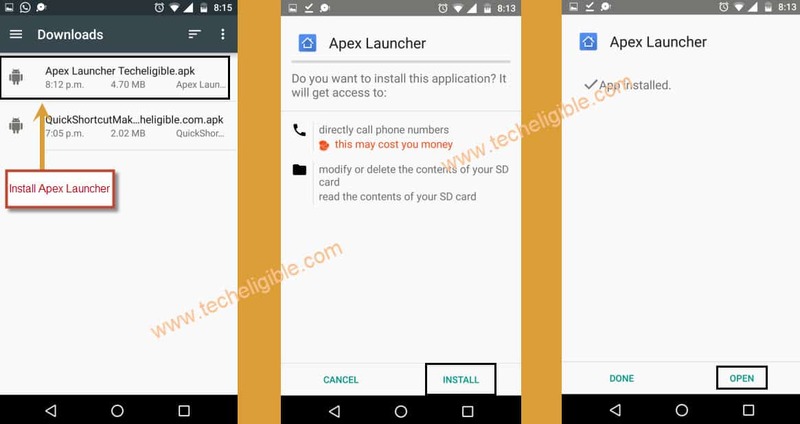 -Tap on “Appex Launcher 3.3.3” app again to download. -Now tap on “Open” from bottom popup, that will occur exact after downloading finish. -Tap on “Install” and then tap on “OPEN” to launch apex launcher. -Congrats, you have accessed to HTC Home Screen, but still some more steps are remaining to Bypass FRP Protection HTC completely. -Go to > Settings > Security > Device Administrators. -Now tap on “Android Device Manager”, after that tap on “Deactivate this device administrators”. -Go back to “Settings”, and then tap on “Apps” from there. –Go to > Google Account Manager > Storage > Clear Data >. -Now tap on “Disable” to disable google account manager. –Go to > Google Play Services > Storage > Clear Cache > Manage Storage > Clear All Data > OK.
-Tap on “Back Key”, and then tap on “Disable” to disable google play services. -Make sure you have disabled both “Google Account Manager + Google Play Services”. -Now we need to install “Google Play Services” Apps. 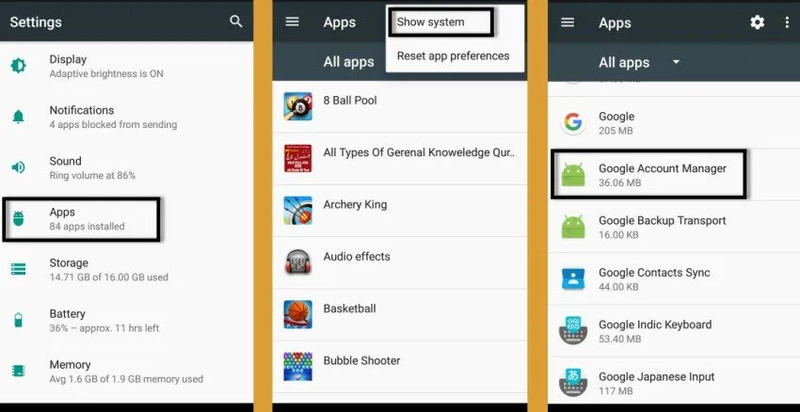 -Go to “Download Folder”, and then tap on “Google Play Services” app to install it. -Tap on “Next > Install > Done”. -Go to “Settings”, from there tap on “Account & Sync”. -Now select “Google” from list. 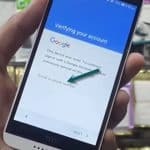 -Sign in with your valid gmail id to bypass frp protection from HTC. -Once you successfully add your gmail id, now you can enable applications those you disabled before. -Go back to “Apps”, and then tap on “3 dots” from top right corner, and select “Show System”. -Now enable “Google Account Manager” + “Google Play Services”. -Go to “Settings > Security > Device Administrator”. -Activate “Android Device Manager”, if you are seeing there “2 android device manager”, activate both of them. -Once you access successfully “Home Screen”. -Go to > Settings > Backup & Reset > Factory Data Reset > Reset Phone. Thanks for visiting us, i hope you have successfully bypassed google verification from your HTC device by following this method, don’t forget to make comments below of this post. The “Google Play Services [DOWNLOAD]” shows a 400 Bad Request when i open it on my phone. Hey!Quick question that’s totally off topic. Do you know how too make your site mmobile friendly? My web site lookks weird when viewing from my iphone 4. I’m trying to find a theme or plougin that might be able too resolve this problem. If yoou have any recommendations, pledase share. Ffin great guys thanks ✌????? ho bisogno di un aiuto urgentissimo!! 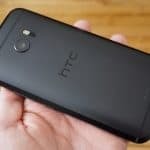 Sono un possessore di un HTC ONE ho un problema con la batteria che non carica più, ho provato a cambiare il carica batteria, ma il problema persiste, è sicuramente la batteria. Cosa mi consiglia una batteria anonima oppure quella della casa madre? Ho bisogno di un suggerimento sul mio smartphone HTC ONE la batteria si scarica subito, vorrei cambiarla!! Cosa mi consigliate, una batteria di sottomarca o quella originale? I could not install the Google App Services . My phone is nexus 9 android 7.1.2 October 2017 Patch. Help me please I have a Alcatel idol phone by android and I need to get past the FRP gmail sign in lock when the phone is encrypted with secure boot on please help me get by it and turn it off. there is search bar on top right side bar, just type there “bypass frp alcatel” you will get list methods there relevant alcatel.